Hiked on September 5th, 2012 with Joe Tobiason. Beautiful weather. The trail is long (11 miles round trip), with 2700 feet elevation gain to the Katwalk. However, the grade is very gentle and consistent, so it feels easy. The trail is a part of the Pacific Crest Trail. We hiked slowly, so the round trip took us 7.5 hours. The Katwalk is a wide ledge blasted in a steep rock face. The trailhead is at Snoqualmie Pass (close to Alpental). 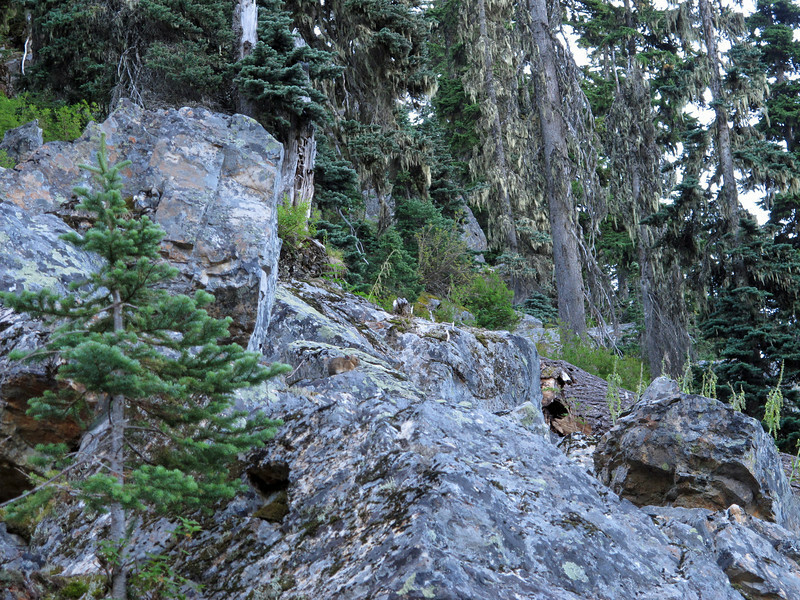 Can you spot a pika in this picture? Wytez wzrok i znajdz pike na tym zdjeciu!